Every (any?) Day Hash | I Am Not A Restaurant! 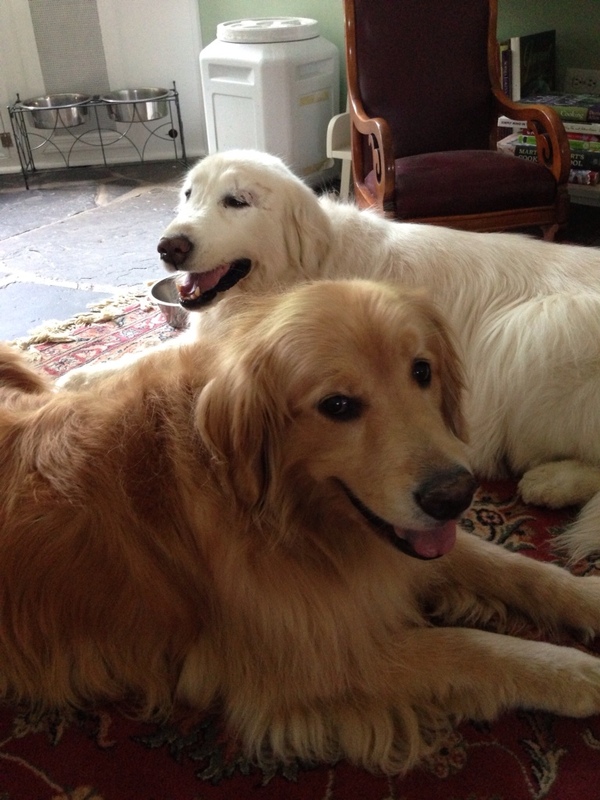 So I got two new boy dogs (see photo, below) and I have had less cooking time lately. Not to worry. Necessity being the mother of invention, I threw everything together in a hash this week that I think came out pretty well. Start with leftover potatoes – if I steam them for anything, I always make extra for a frittata…or in this case, hash. Start crisping them in a tablespoon or two of veg oil. Add leftover caramelized cumin & garlic peppers and onions (I always make extras of these, try them on grilled cheese!). 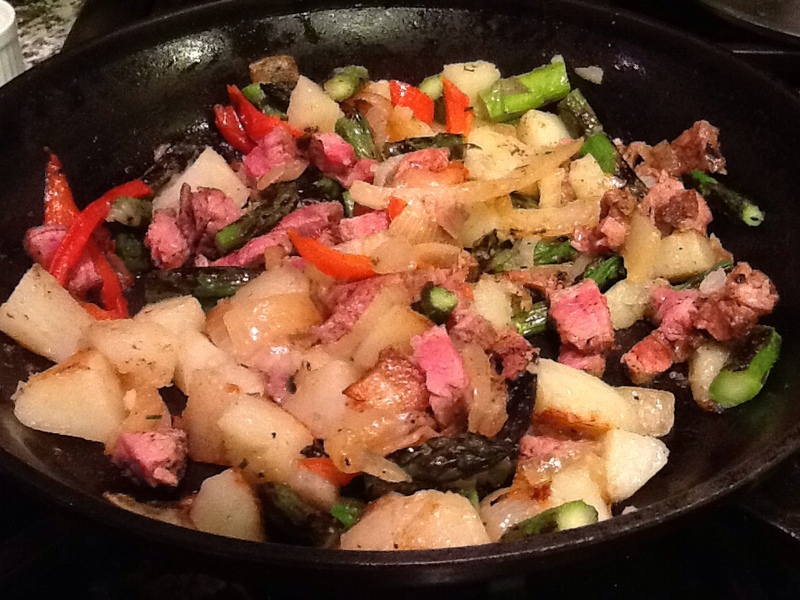 Then chop and add leftover vegetables like asparagus or green squash. Add the week's steak, or chicken or pork or sausage or tasty tofu. Let everything meld & get some crunch. Stir in scrambled eggs if desired. Jun8June 8, 2013 • By Betsy Karetnick • This entry was posted in dinner, Dish of the Day, Gluten-free, Kitchen Help, Recipes and tagged chicken, dairy-free, gluten-free, hash, steak. Bookmark the permalink. Miss you! Still checking in on your blog and love your recipes. BUT… 2 “new” dogs??? Is Lucky okay? I remember that you and your daughter(?) volunteered at a shelter. They are not King Charles spaniels but adorable! The dogs are very handsome. Miss the mornings with you and Brian. Betsy, Will your radio show be available on line after the fact? Also, you showed us your beautiful new dogs, but didn’t share names or how they came to be at your house. Fill us in, please. Looks delicious! Tell us more about the new pups! Betsy, the hash looks excellent , but what I really want to know are the names of your two new dogs.